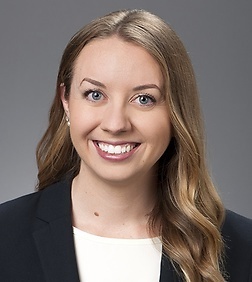 Alyssa M. Shauer is an associate in the Business Trial Practice Group in the firm's Century City office. Ms. Shauer is a Certified Information Privacy Professional (CIPP/US) and a member of Sheppard Mullin’s Privacy Team. Prior to joining Sheppard Mullin, Ms. Shauer externed in the chambers of the Honorable Margaret M. Morrow, Central District of California. She served as a Managing Editor of the UCLA Law Review and as Vice President of the Cyber Crimes Symposium and Competition on the Moot Court Honors Board. Prior to law school, Ms. Shauer studied emerging technology and cyber security regulations as a policy analyst for a managed care health plan and as a software developer for the Federal Aviation Administration in Washington, D.C.